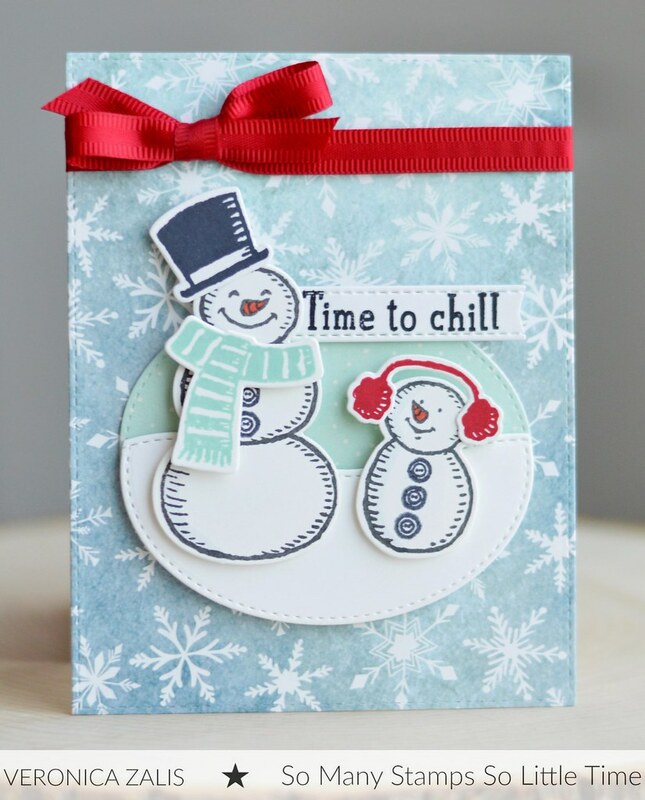 After a busy Holiday season, and year, I hereby declare it is Time To Chill! Well, maybe just for today, but taking a breather from time to time is always a good idea. To create this card I used the Stampin' Up! set Snow Place (which is still orderable for the rest of the year) and matching dies. Those two are just the cutest! I used MFT dies to create my background and focal point. I hope you have a fabulous week of getting back into the swing of things. Totally adorable card!!! LOVE the sentiment! We all need to Chill once in a while! TFS! Ahhh, what an adorable card! I love snowmen and your background is beautiful.